Cerwin-Vega! CVE-10 aktiivikaiutin ammattikäyttöön. Hinta on kappalehinta. 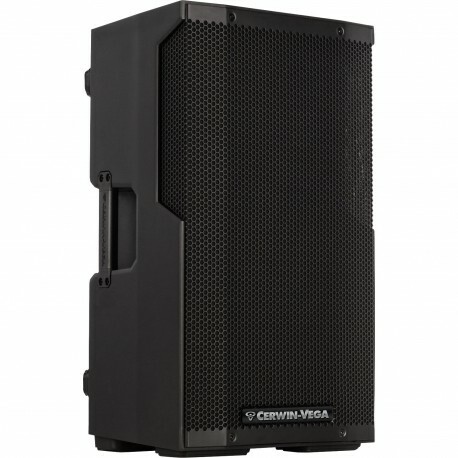 The Cerwin Vega CVE-10 powered Loudspeaker features 1000 watts of Class D Power, a 10" woofer and a 1” exit high frequency compression driver. Besides the 2 Combo XLR/TRS Inputs and one XLR output, there are 5 easy-to-use DSP driven Modes to tailor your sound. In addition each CVE speaker allows audio streaming via Bluetooth from any smartphone or tablet, mono or even stereo paired. The lightweight polymer enclosure design combined with 124dB of headroom, makes the CVE-10 the ideal solution for live applications, mobile DJs, houses of worship, clubs, restaurants, conference rooms, and more. Listen for yourself to Cerwin Vega’s 65 years of experience.